The World welcomes Metorik. In August 2016, Bryce Adams left an incredible job at Automattic. Bryce was chasing his dream of building a truly spectacular analytics, reporting, and insights product for WooCommerce. He had been dreaming of building it for years. In October 2016, he had a beta version ready and the product started to come alive. November 2016, Bryce quietly opened Metorik up to the world. 20 December 2016, he decided the Metorik was ready for the word to be spread. 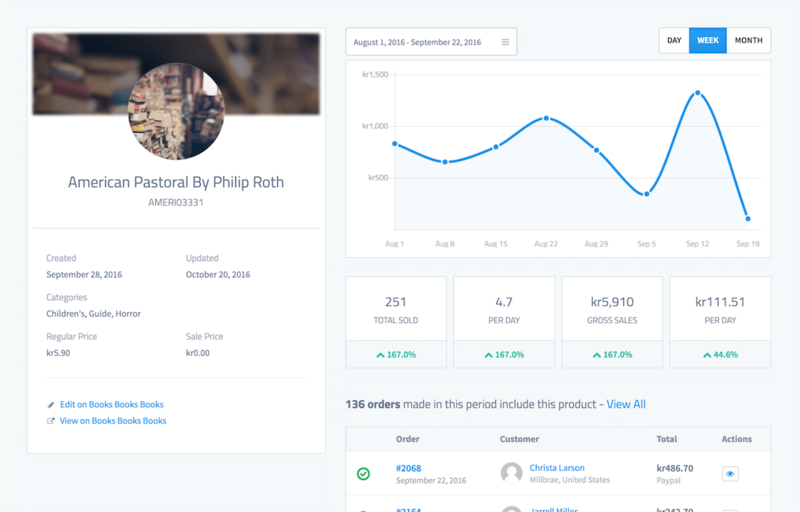 This is Bryce’s attempt at creating the perfect analytics and management tool for WooCommerce (and DAMN he has nailed it). It’s built just for WooCommerce, using the API to do everything. There a ton of features like Google Analytics integration, Zendesk/Help Scout integration, many reports (LTV/customer retention, anyone? 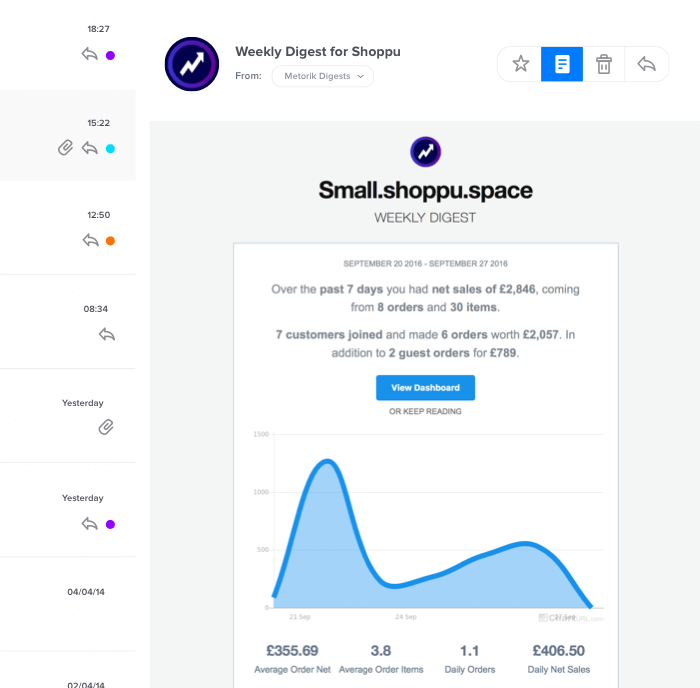 ), instant order/customer/product/category filtering (even if you have 100k+ orders), digest emails, customer profiles, exporting, variation sales, unlimited team members, and the list goes on. A single dashboard unifying your store’s orders, customers, and products, helping you understand your data and make more informed decisions. Metorik gives you control over what defines your sales totals. You can choose which order statuses are ignored, what gets deducted from gross sales to determine net sales, whether to exclude free orders & customers, and more. Customers – Profiles, insights, and cohorts. There’s often the need to segment orders by a variety of attributes – total order value, country, products. Or perhaps defining a custom cohort, based on lifetime value, order value or the number of items purchased. Metorik does this with ease, even allowing you to export that data instantly. How many orders did you store receive yesterday? How many new customers did you acquire over the past month? Metorik answers these questions without you even asking, through digests. You can receive daily, weekly, and monthly digests by Email, SMS, and Slack at a time of your choosing. Included is an overview of what took place in the period, from gross sales to net sales, new orders to new customers. Digests also include charts, orders/products from that period and even conversion rates. While seeing the bigger picture and having an understanding of your store as a whole is important, so too is focusing on the very people that put food on your table! Every customer has a place in Metorik with customer profiles. But it’s not just their details you’ll see there. Stats like their lifetime value, average order, products owned and recent orders are all available, calculated in real-time. No need to pay for another CRM. Metorik has you covered. Metorik doesn’t just take your data and provide insights into it through powerful reporting, metrics, and analytics. We let you drill down into that data on a per-order basis, allowing you to filter, segment, and search through all of your orders. You can then export those orders into CSVs or look at a single order in more detail. You can even add order notes & update order statuses. Want to find all orders for a certain product, or orders over a certain amount? It’s instant and easy with Metorik. Metorik makes it painless to find your best selling products and under-permorning products. You can find a list of all your products and then filter them in a number of ways, finding products that sold over a certain number of times in a period or search by a SKU group. Each product has its own page in Metorik. There you can filter by dates and find sales just for that product and key KPIs like the # sold per day and how those KPIs compare to the previous period. You’re even able to see recent orders made for that product, helping you find trends that otherwise may have been missed. A chart on its own only tells one part of the story. 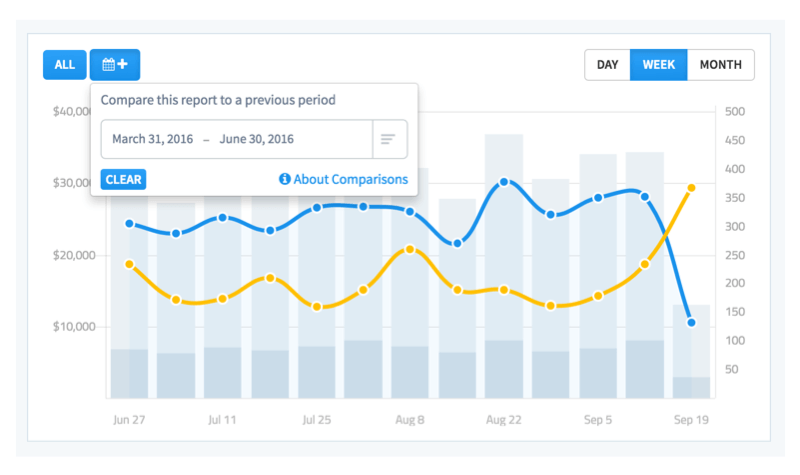 Metorik lets you compare different periods in the same chart with ease. Whether it’s comparing this month’s orders to last’s, or 3rd quater sales between years, it’s all possible. And it’s not just charts that let you see a period comparison. Comparisons also happen for KPIs, totals and growth too. With a little bit of a magic (and mainly webhooks), everything that happens in your store happens in Metorik too. Whenever a sale comes in – we know about it. Whenever a customer’s profile gets updated – we know about it. That means notifications, a view of recent events and reports that take into account everything. 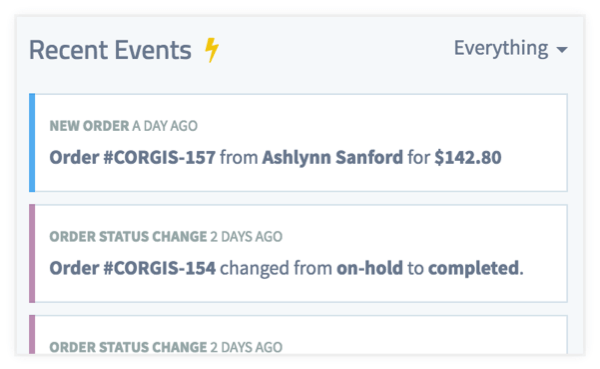 Even if an order gets updated while you’re looking at it, Metorik will instantly update and show you the most recent changes. It often takes more than a single individual to run a store. If you happen to have a team of people that need access to your store’s data, Metorik offers unlimited team members with every plan. That means no longer giving access away to your site’s dashboard (putting your site at risk). Have a marketer or data analytist that needs to see sales reports? Invite them. Have someone handling fulfillment that needs to see recent orders and update order statuses. Invite them. Team member roles ensure that members only have access to what you want them to access. 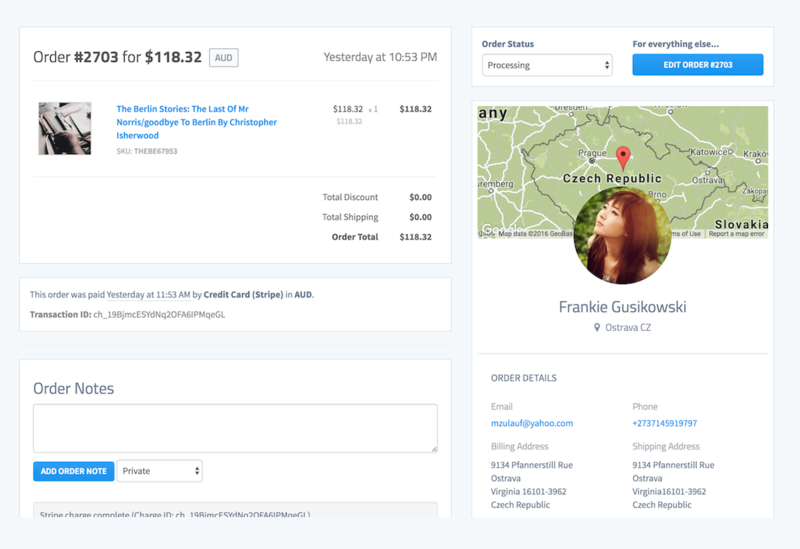 Metorik bridges data from around in the internet that defines your store through seemless integrations that take just moments to setup. Google Analytics – Provides historical and current conversion rates for new orders, customers and individual products. Slack – Receive digests straight to your Slack team’s channels. MailChimp – Integration coming soon. Stay tuned. Intercom – Integration coming soon. Stay tuned. 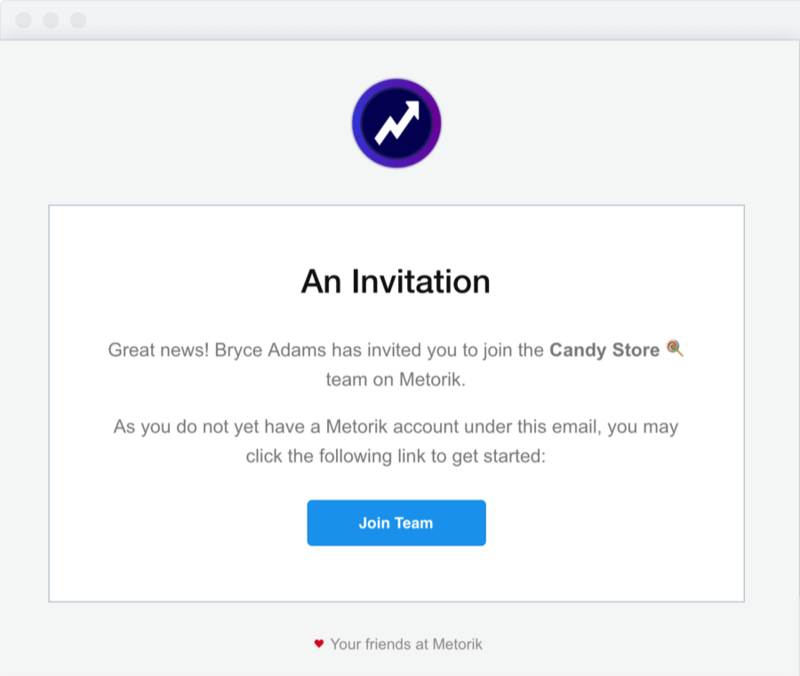 You can find more on it here – https://metorik.com – I’m sure Bryce will be super interested to hear what you think and feel. Ping me on the site’s live chat if you have questions etc.! Still a lot more to come. 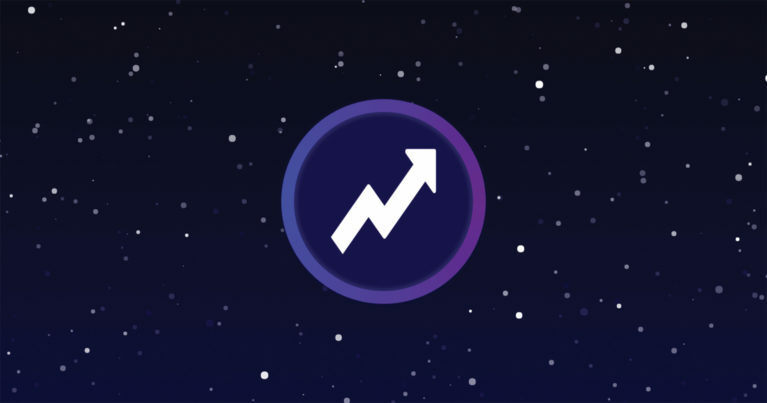 And remember, share this article so more people can find out about the wonderful Analytics, Reporting and Insights Tool for WooCommerce. Page Speed: Are Slow Loading Pages Affecting Your Revenue?